The sew-along will be September 26th to 30th. Put it on your calendar now! Between now and then we’ll be posting what you’ll need, the schedule, and prizes. During the sew-along we’ll tackle a few steps each day to take you through the pattern. The Aubrey Pattern comes with 3 sleeve lengths. We will feature the 3/4 length sleeves, but feel free sew up any version you would like! 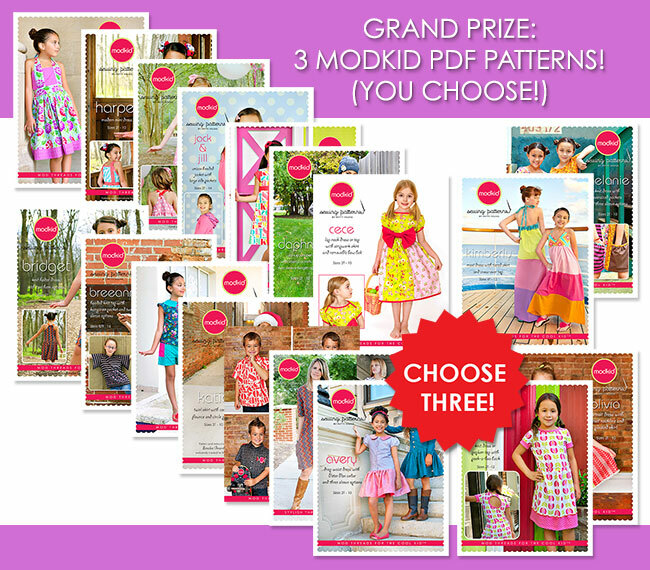 One sew-along participant will be selected at random to win three Modkid PDF patterns of their choice!! Sew along with us or at your own pace. Ask questions here or in our Modkid Facebook Group. Photograph your finished dress and add it to the Facebook Group. Post photos of your dress to Facebook and Instagram using the tag #aubreysewalong, so we can all find you. To be eligible for the grand prize, be sure to add your finished photos by Monday, October 3rd. Please only add photos you don’t mind us sharing on the blog! Want more good news!?! 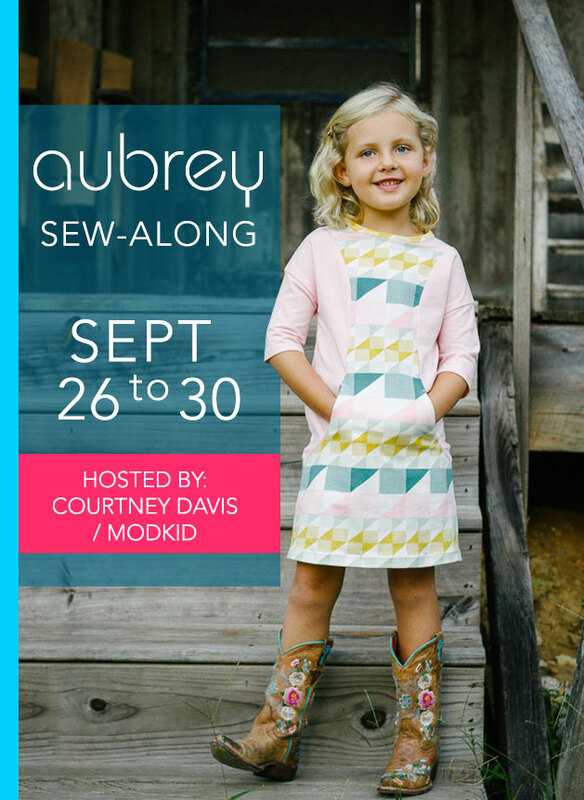 Coupon code AUBREYSAL2016 gets you 25% off your entire order in the Modkid Etsy store. That’s ANYTHING you buy in the shop not just the Aubrey Pattern!! The coupon code expires on September 30th at midnight EST.